Dave Pelz may call his new book Dave Pelz’s Putting Games, (Gotham Books, 2012) but the reality is, Dave is a scientist through and through. So know from the start that his games, although fun and enjoyable, are methodically engineered, precise in working to help you achieve improved putting, and they require a bit of scientific discipline to pay off. That’s actually a good thing. Just don’t expect to play Dave Pelz’s putting games with three beers under your belt and your betting buddies to achieve serious results. Written with his son, Eddie Pelz, Dave’s games come from his longtime work in teaching players to master their short game. A former NASA research scientist, he’s been sharing his pitch and putting know-how in effective golf instruction for three decades. The book suggests you start your improvement plan by evaluating your putting with the help of friend, who can record your scores, as you run through a one-hour series of seven “Performance Games” on a practice green. (Add an additional 30 minutes if you evaluate solo.) These are three- and six-foot-putt circle games; a 10-20 ft. ‘makeable’-putt game; breaking-putt, intermediate-putt, lag-putt games; and a three-putt-avoidance game. Why evaluate? Pelz says those seriously seeking improvement need to know how they score in all areas so they know what their weaknesses are, and then know what games to play for improvement. “If you practice what you’re already good at, incrementally it’s the old law of diminishing returns. The better you are at something, the harder it is to improve, and the more time it takes you to improve any at all, “ he said, noting conversely, your worst areas are apt to improve most with the right practice. While “Performance Games” require a visit to a local practice green for the initial evaluation, and for revisits to gauge improvement and progress, the rest of the book primarily focuses on at-home games that you can just play in your basement, living room, family/great room or backyard. 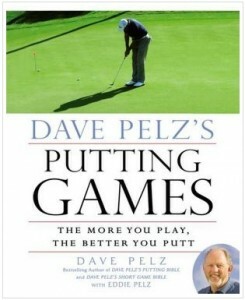 Pelz says enabling effective at-home practice was the primary motivator for his book. “The innovation here, which justified writing a book about, is improving your game at home,” Pelz said. “I really think that is potentially a really important paradigm for learning to improve your game. “In America today, the only way people think they can improve their game is to go to the golf course, hit balls on the range, take lessons from pros or go to golf schools, but that just doesn’t work, because we all have to work for a living,” he said. “We get home from work at 5 o’clock and we’re tired, and we don’t want to leave our kids or wife or husband, and we don’t want to go out to the range and spend two or three hours to get 15 to 30 minutes of practice time in. It just doesn’t work. Pelz says he’s struggled with this age-old dilemma, because golfers as a whole are not getting better. “Despite improvements in equipment and balls, handicaps have not gone down,” he said. “So I’m attacking (the problem) with things you can do at home at night, in small periods of time, after supper, with the kids, with your wife or husband, to improve your game,” he said. In his “Games for Stroke Mechanics,” he describes games that hone in separately on aim, path, face angle and impact. Here, he also describes how to employ a number of his for-purchase learning aids, which in some ways – as with the following ‘touch and feel’ section – detract from the spirit of a ‘practice makes perfect’ book, yet understandably, they can make a big difference between practicing a ‘wrong’ stroke over and over and correcting what really ails you. In the “Games for Touch and Feel,” Pelz again puts some of his trademarked tools to use along with coaching advice, giving golfers a good pep talk and helpful practice games for green and home. These include games for short-touch; makeable-, intermediate- and lag-touch (sound familiar from the Performance Games section? ); and feel-for-speed, rhythm and preview-stroke games. He also spends a little time on the games of the World Putting Championship, and suggests two games that should never be played—Aces and putting to extra-small holes. One of the off-shoots of Pelz’s putting games, is that they often pull other family members or friends into golf, including the kids. “One thing that I’m really excited about is that one group that tested some of the little devices, said they can’t use them without their kids wanting to do it, too,” he said. “What a great way to get kids interested in the game of golf. And of course, kids aren’t too bad at these games; they get pretty good, pretty fast,” Pelz said, adding that if he had his at-home golf games when his own children were growing up, he might have raised some formidable golfers. He also said, practice at home cannot be overestimated as a real key to improvement. “The easier it is, the closer you are to it, the more likely you are to do it,” he said. “Just think about it. Even those who live on golf course, need to get into their cart, drive 15 minutes through the streets to the practice facilities, get their clubs, go to the pro shop and get some balls…it may take them 30 to 40 minutes to get to the range or onto the putting green, and then they do the whole thing in reverse to go home. So it takes an hour, even if you live on a golf course, to get 15 minutes of practice. Pelz also talked about how snowbirds who don’t fly south for the winter could use his book. Although the evaluation and Performance Games will have to wait for warmer weather, he thinks most golfers who play regularly, generally have some ideas about where their weakness are, and can start with his at-home games to address those areas. And if you don’t know your weakness, or have never really thought about your putting game, Pelz said to work on lag-putting first. “More people three-putt and can gain more shots by stopping three-putting than they can by improving their putting inside of 20 feet. It’s a lot easier to stop three-putting than it is to make six- 10- and 20-footers. It’s pretty hard to get really, really good in those distances, and the funny thing is most of us aren’t too bad in those anyway. 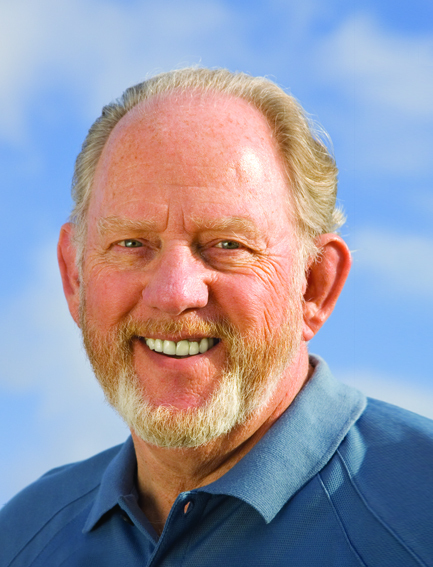 For more information, visit www.pelzgolf.com where you can learning about The Dave Pelz short game schools, buy his learning aids and also directly link to Amazon to buy the book. Susan Bairley has been writing about golf – especially women’s golf – since 1989, mostly as contributing editor to Michigan Golfer magazine, where she also was editor of two Michigan Woman Golfer editions and started an early website for women golfers. She chaired the first statewide women’s golf summit in the U.S., ran her own golf and real estate PR firm and still works as an executive PR consultant to business, industry and organizations.